I’ve said before that I bought this house because of the light. Because of the old-glass, single-pane, broken down old drafty windows which let in such incredible light, and it’s so true. 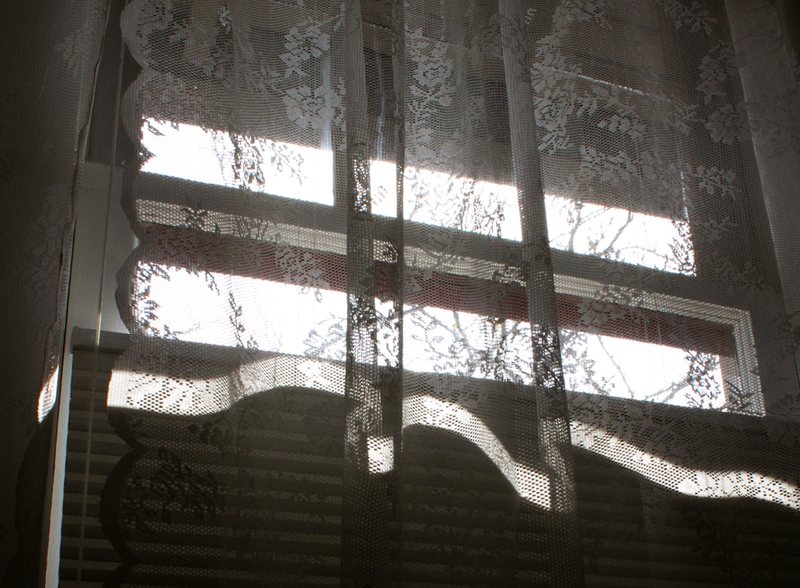 I love the way the light dawns into my bedroom in the morning and cuts ribbons across the lace curtains. 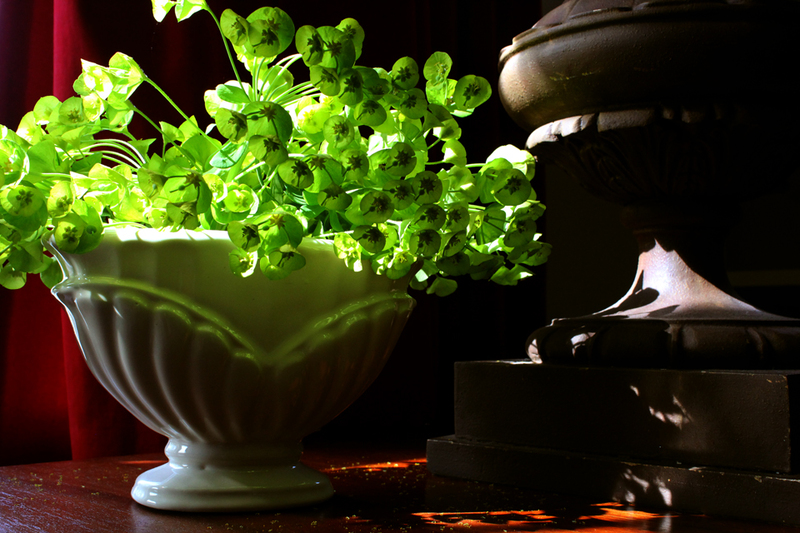 And then it picks up the golden pollen on the living room side table; fallen off the euphorbia blossoms over night. I love that by the evening it comes streaming into the dining room and lights up anything on the dining table. 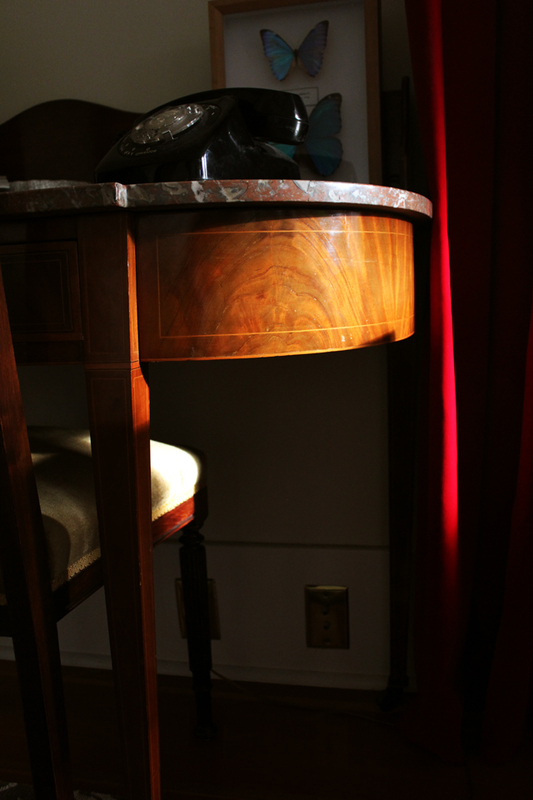 And I love how the last rays sneak under tables and lamps playing with a bit of wood grain here, a little velvet there. These are the reasons there are several cameras on hand at all times in this house. They are all beautiful pictures, but there is something special about the light coming through the lace. Your photographs are lovely and the lightening is sublime:) You have a wonderful eye for detail. It’s grey here for most of the year in the pacific northwest. 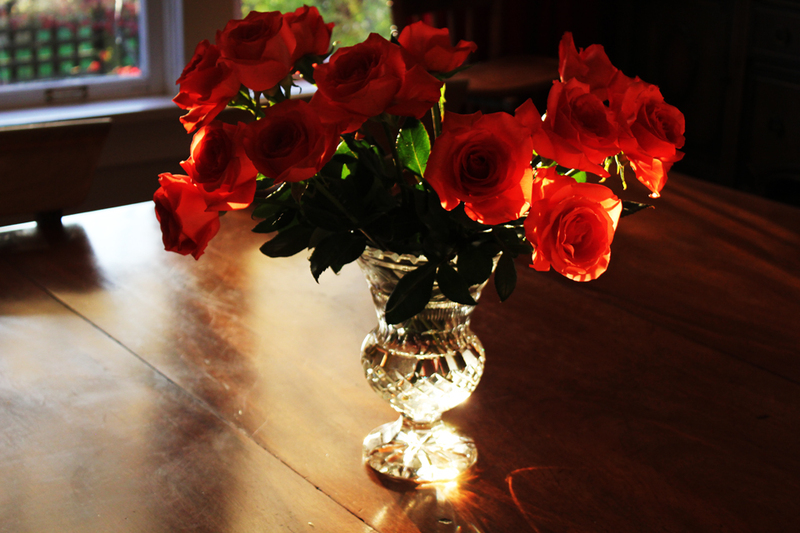 When light comes in ~ it really changes the dynamics and feel of the room. Fabulous light – I agree – always a handy camera. Gorgeous pictures. It makes me feel warm inside. it makes me long for the day when our house is finished and more light comes in. maybe tho’ I need to be better at chasing what’s here already now. NEVER enough light! Sometimes I follow it from room to room. Beautiful photos Veronica!